In 1970, Mari and Will decide to leave their comfortable middle class life in San Jose, California and volunteer for El Malcriado, the underground newspaper for the United Farmworkers Union. It's a tumultuous time for Cesar Chavez' union and the couple find themselves in the middle of a violent struggle that forces Mari to take the lead to protect herself and her husband. 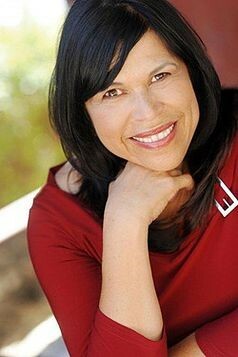 Diane Rodriguez is an anthologized writer, regional theatre director and Obie Award winning performer. She began her career as an ensemble member of the seminal company El Teatro Campesino under the direction of Luis Valdez. Her plays include: Living Large in a Mini Kind of Way and Los Vecinos/A Play for Neighbors. Her two-play anthology—written collectively with the group Latins Anonymous (under the same title)—is in it’s 16th printing. Since 2008, she has been a free-lance writer for Mattel, Inc. and was commissioned to write the book for two Broadway-style Barbie musicals that toured Latin America and Asia. From 1995-2005, Diane served as co-director with Luis Alfaro of the Latino Theater Initiative at the Mark Taper Forum. 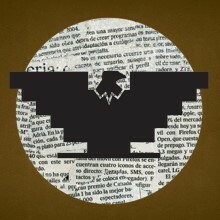 Chantal Rodriguez’s recent monograph, The Latino Theatre Initiative/Center Theatre Group Papers, (UCLA Chicano Studies Research Center), is devoted to the work Diane developed during this period and the profound influence of the LTI on shaping the landscape of theater in Los Angeles and nationwide. She has been at Center Theatre Group for twenty years and is currently Associate Artistic Director and President of the Theatre Communications Group Board. In 2016, she was appointed to the national Council on the Arts.